The Collect 2016 low cabinet completes an already large range of cabinets designed by Sara Larsson. 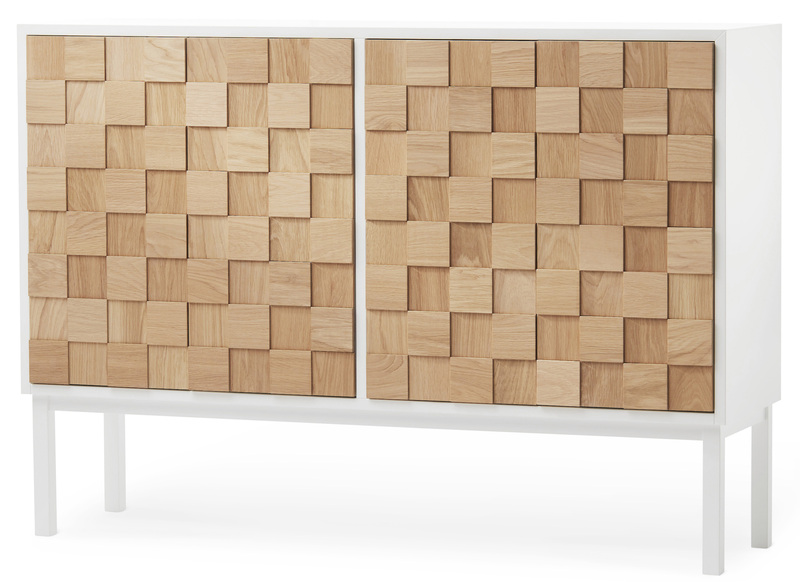 It is reminiscent of the Collect 2010 low cabinet, but its peculiarity comes from its doors: squares in solid oiled oak, arranged in 2 levels, bring to it a graphic and geometrical look, cosy and warm at the same time. 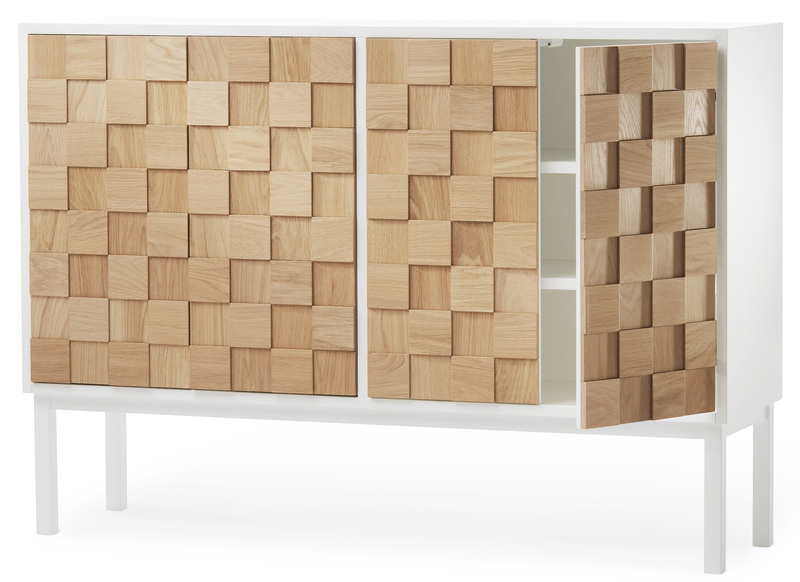 The cabinet has two movable shelves in each section. The doors are opened by a push mechanism.